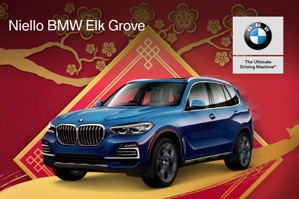 To celebrate the Lunar New Year, BMW has created an exceptional offer just for you. Discover more by coming into Niello BMW Elk Grove this Saturday, February 9th or Sunday February 10th. Your exclusive offer will only be available on February 9th and 10th so don't miss your chance to celebrate the Lunar New Year with BMW.